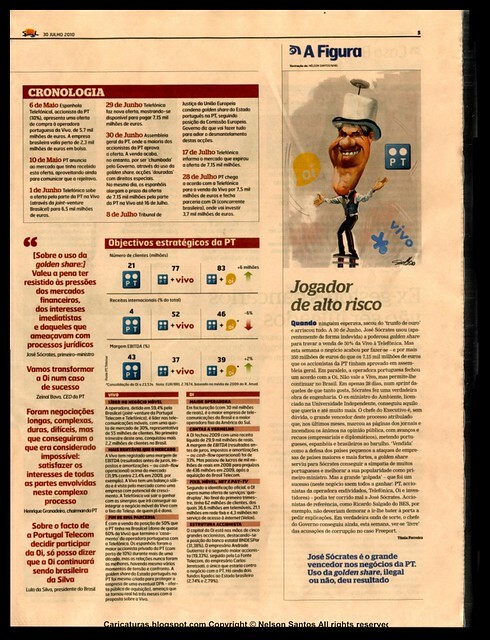 José Sócrates malabarista com golden share conseguiu descartar a Vivo num negócio de milhões e manter a Portugal Telecom no Brasil com compra da Oi. 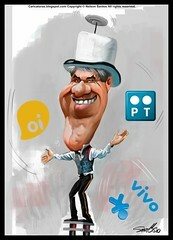 Cartoon publicado no semanário Sol de 30 Julho de 2010. Acordei hoje chocado e triste com a noticia da morte de António Feio. Um prazer ter-te desenhado e acima de tudo conhecido pessoalmente, um ser humano com um optimismo fora de série. Obrigado António por todos os sorrisos que proporcionaste. Descansa em paz. 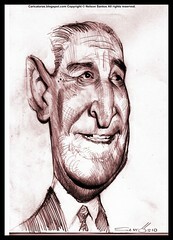 Faz hoje 40 anos que António de Oliveira Salazar morreu, um dia depois do meu aniversário, eu que curiosamente nasci em 26 de Julho de 1974 ano da revolução dos cravos e da queda do Governo de Salazar. 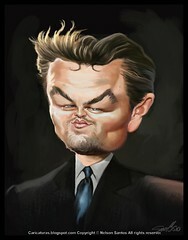 Leonardo DiCaprio caricature portrait. "Titanic almost sank my career" said the star of new movie Inception and directed by Christopher Nolan´s genious for having recovered Batman to the movies. I am quite curious to see this movie and Inception trailer seems awsome as the soundtrack, hope it will be 3d! 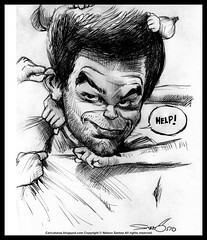 Dexter Caricature Sketch 20 mins with a bic cristal pen might paint it maybe watercolor defenitelly not digital as i wanna break a litle from digital. 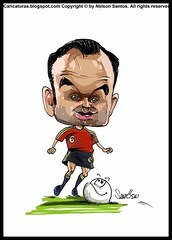 Iniesta gave the Worlcup to Spain in the closing time before penalties but the referee failed having not seen a corner quick and a foul on Elia moments for the Netherlands. Guess Paul the octopuss have done it again or was it Fifa? The funny thing is that they are now open to put video images to aid in the goal line... but not in the penalties or offsides, clever no ;)? 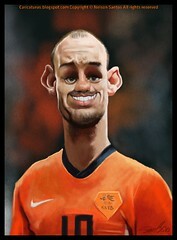 Wesley Sneijder caricature. Paul the octopuss says Spain will win the Worlcup but Pauline from the Netherlands says the mechanical orange will bring it home if that happens there will too much mushrooms in those coffee-shops! 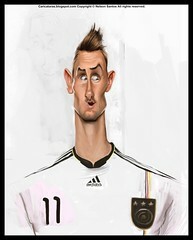 Klose to 15 goals if he scores against Villas Spain any bet? 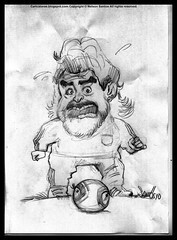 Maradona loves Jabulani or vice versa, had this idea for drawing a funny small jabulani ball. 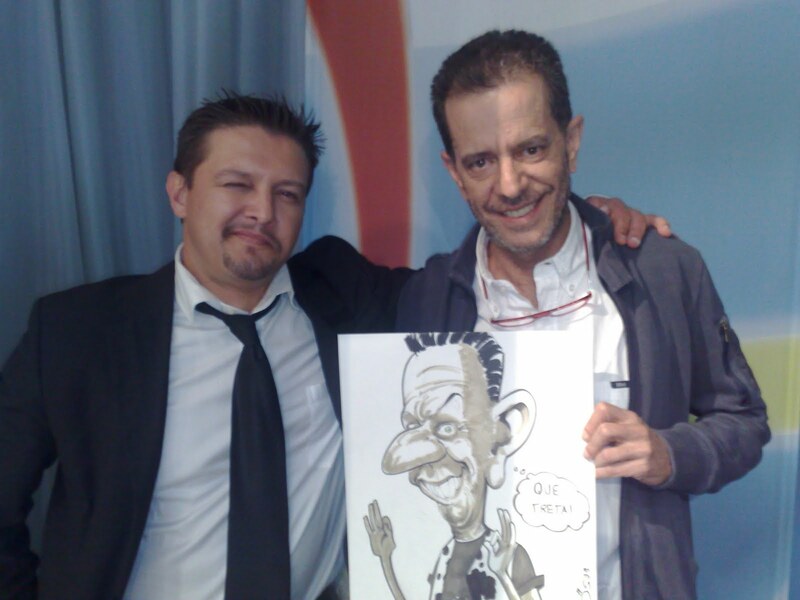 Maradonas morphology is now great for caricaturing! I cross my fingers for Brasil x Argentina world cup final! 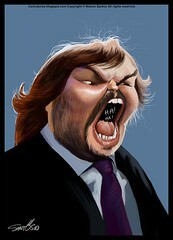 Jack Black caricature for the Caricaturama facebook contest challenge.